Broad, palm-lined boulevards and quiet, well-lit streets lead to inviting neighborhoods of distinctive villas and custom homes. 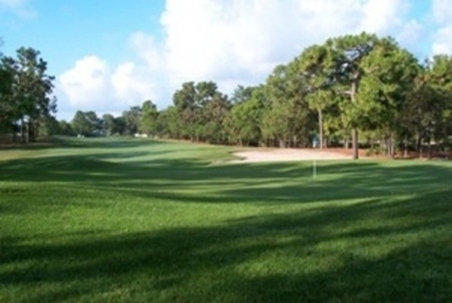 GlenLakes golf club community homes have golf/water views. In the heart of the community lies an outstanding array of amenities, including a championship, 18-hole golf course designed by Ron Garl and a lavishly appointed clubhouse surrounded by tennis courts, pool, unique aqua driving range, lush landscaping and much more. Tree-lined fairways lead to well-landscaped neighborhoods. Maintenance-free homes feature pools and golf/water views. Also available are single-family custom estate homes constructed by one of Florida’s finest builders, Addison Homes Ltd. Custom estate homes start at the $300,000s, including homesite. For additional details, see the real estate section below. Quality water is an abundant resource in the surrounding area known as the “Nature Coast.” Evidence of nature’s profound presence in the area can be seen everywhere in the Gulf of Mexico beaches, spring-fed lakes, pristine rivers and miles of state-owned nature preserves. GlenLakes is just three miles north of the crystal-clear spring waters of the Weeki Wachee River and only minutes from shopping, hospitals and the cultural activities of Tampa, St. Petersburg, and Orlando. Visit the Welcome Center located on U.S. 19, three miles north of Weeki Wachee.